Green tea is of Chinese origin but has gained worldwide popularity due to its amazing health benefits. One of the most recent fads in the dieting world is to keep sipping green tea. Green tea is made of tea leaves that have undergone minimal oxidation. Green tea is rich in anti-oxidants. Due to this property, it has come to be widely used not just as a favoured drink, but also in many medical and cosmetic preparations. Making green tea is no nonsense process. Boil water in a pan. Allow it to slightly cool down, since around 85 degree is the ideal steeping temperature. Pour this water in a cup with a green tea bag or leaves. Cover for two minutes. Strain if using leaves. Sit back and enjoy your cup of green tea. So what are the benefits that you can get from green tea? 1. Green tea is rich in flavonoids. Flavonoids have anti-oxidant and anti-carcinogenic properties. 2. Polysaccharides in green tea mimic insulin and lower the blood sugar levels in the body. 3. Green tea is a stimulant that is healthy- the natural caffeine in green tea helps stimulate your mind and body. 4. Green tea eases toothache. It has anti-bacterial properties that help in providing relief from toothache when you swish some green tea in your mouth as a rinse. 5. 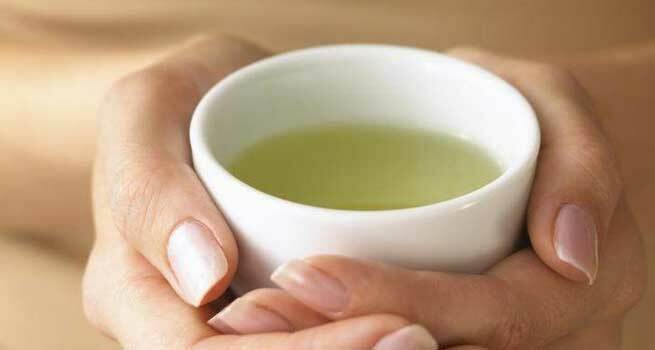 Green tea reduces the risk of heart disease. It has been proven that green tea reduces the amount of bad cholesterol in the body and improves the way the heart functions. 6. Constantly sipping green tea keeps your teeth protected and your mouth smelling fresh. 7. It boosts metabolism. The chemical EGCG present in green tea will boost up your metabolism rate and help you burn calories faster and get more energy. All this from a zero calorie drink! 8. Green tea helps rid the body of excessive fluids. It has diuretic effects and it helps expelling excess water from the body. This reduces the bloating in the body and helps in weight loss. 9. Green tea is rich in polyphenols that help in the prevention of many neurological disorders. 10. Both the polyphenols and flavonoids have a positive effect on the immunity of the body. 11. Theanine, which is present in green tea, is an amino acid that has a tranquilizing effect. Thus, drinking green tea will help you calm down and relive stress. 12. 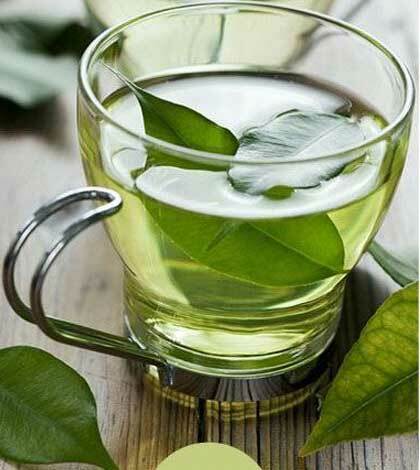 Green tea, when topically applied on the skin helps in treating sunburn and tanning. It neutralizes any free radicals present that may combine with the UV rays and intensify the sun damage. 13. Topical application of green tea on the hair improves the strength of the hair. The vitamin E, panthenol and vitamin C in green tea are wonderful hair conditioners. 14. Green tea rinse of the hair reduces dandruff and psoriasis in the scalp. 15. The EGCG in green tea is known to help prevent hair fall and stimulate the growth of hair. 16. The antioxidants in green tea help in rejuvenating the skin and reducing fine lines and wrinkles on the face. Topical application is said to be effective. 17. Drinking green tea helps flush out toxins in the body and keeps the skin hydrated. This goes a long way in preventing acne from occurring. 18. Green tea contains catechins that regulate the sebaceous glands and control the production of sebum, thereby giving you oil-free skin. 19. Applying green tea on affected region in case of psoriasis or rosecea is known to reduce the inflammation. 20. Green tea acts as a great cleanser and toner. Steam your face with some boiling water that has green tea to cleanse your skin. Freeze green tea in the ice trays and use the ice cubes as a toner to contract pores. So pick up your cup of green tea, and drink away to get great health, skin and hair!